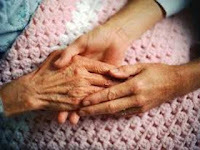 An Aging Life Care Professional, sometimes known as a geriatric care manager, is a health and human services specialist who assists older persons and their families in meeting their long-term care needs. Caring of this kind often keeps a person from moving into nursing care, or other type of assisted living facility or memory care facility. Carolyn is an 85-year-old retired school teacher living independently in Houston, Texas. She is beginning to need assistance in managing her affairs and caring for herself. She’s having problems with bathing, dressing, cooking, getting to doctor appointments, doing her shopping and paying her bills. Her only child, Ralph, lives in Dayton, Ohio. He worries about his mother constantly and wishes he lived closer so he could help her out. He knows he needs to take action; he just doesn’t know what to do. Martha is another 85-year-old whose needs are different from those of Carolyn. Martha’s memory and mental functioning are declining at an alarming rate, and she’s received a diagnosis of Alzheimer’s. It’s obvious that she isn’t safe living on her own. Her daughter, Susan, who lives nearby, hired a home-care company to help care for her mother. But Martha hated the arrangement and fired the caregiver the company had sent. Susan knows her mom needs to be placed in a facility, but doesn’t know what level of care would be needed, and she isn’t familiar with any of the facilities in her area. To make things worse, Martha is adamantly refusing to move. Susan has simply reached the end of her rope. Ralph and Susan have something important in common. Namely, both could significantly benefit from the assistance of an aging life care professional. Aging life care is a holistic, client-centered approach to caring for older adults. A professional in this field — founded in 1985— guides, advocates, and serves as a resource to families caring for an older relative. Aging life care professionals typically charge between $100 and $200 per hour, although the fee may rise to $250 per hour in some large metropolitan areas. Medicare does not cover the cost but some long-term care companies do. Marie Marley is the award-winning author of Come Back Early Today: A Memoir of Love, Alzheimer’s and Joy, and the co-author (with Daniel C. Potts, MD, FAAN) of Finding Joy in Alzheimer’s: New Hope for Caregivers. Her website (ComeBackEarlyToday.com) contains a wealth of information for Alzheimer’s caregivers.